Every day presents a challenge in the Gaza Strip. 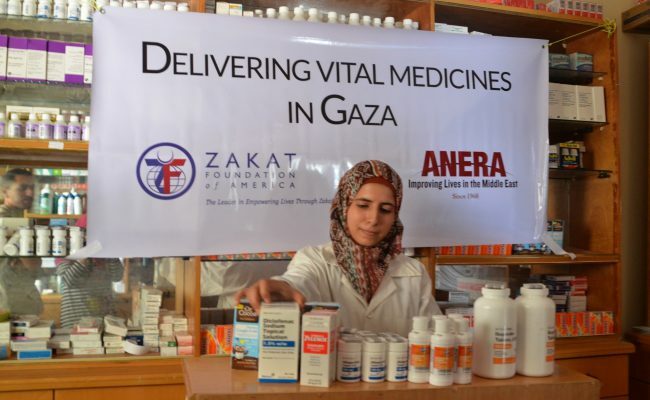 Under a withering, unrelenting blockade that creates constant shortages of essential supplies, social resources and jobs, the people of Gaza face a never-ending struggle to meet basic needs, including vital medical care and the medicines that make it possible. 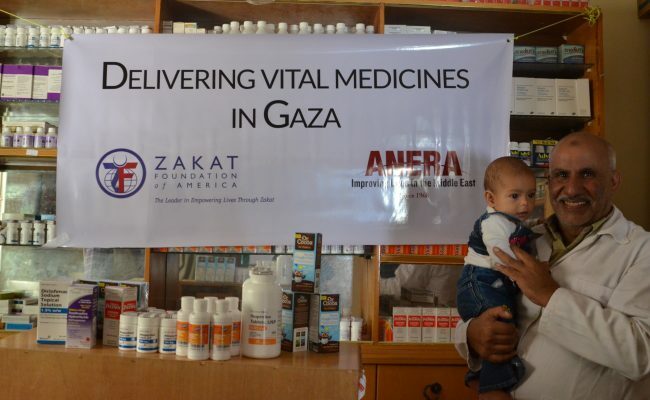 In all of its work in dozens of countries across the world, Zakat Foundation of America (ZF) does not forget the plight of the Palestinian people. Many of the basic amenities of life are hard to obtain in Gaza, but the tiny territory is in especially desperate need of medical supplies. 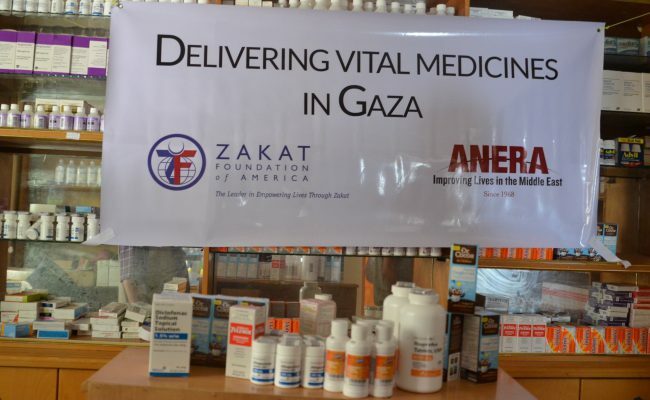 ZF, in cooperation with American Near East Refugee Aid (ANERA), provides medical relief in the Gaza Strip in these times of overwhelming need. The relief is delivered through a “Medical In-kind Program” that obtains large quantities of donated medicines and medical supplies to provide free treatments for those who cannot afford to pay. Through this partnership, ZF makes necessary medical provisions available such as anti-inflammatories, medications preventing seizures for people with epilepsy, and various kinds of antibiotics. Working with ANERA, ZF supports six hospitals and 37 other clinics and facilities reaching over 100,000 people. 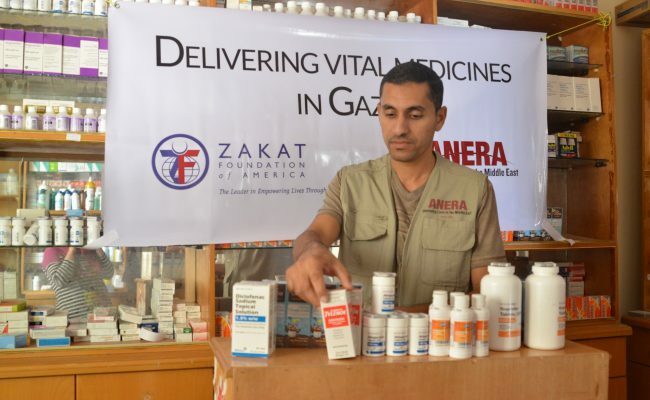 ZF and ANERA worked extensively with various donor agencies to ensure the availability and precise quantity of the necessary medications, and also to make sure that they would meet the needs of the hospitals and clinics in Gaza. In all of its work, and thanks to its strong network of specialized staff and partners across the world, ZF is attuned to the local conditions on the ground in every place that it has a presence. In this way, relief programs are designed to have the maximum positive impact for a particular community. 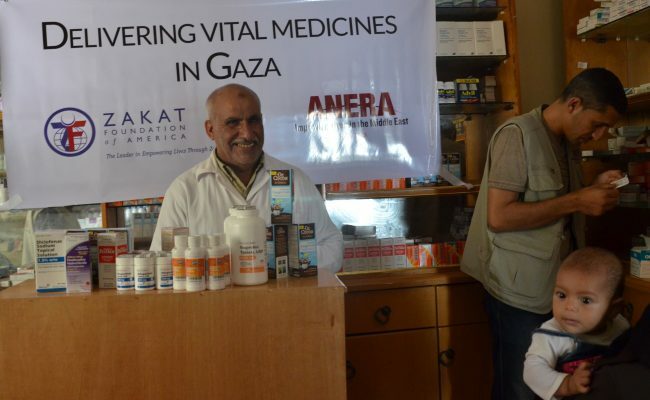 Even though the people of Gaza suffer grievously from the effects of a blockade that touches upon all aspects of life, your donation can make a difference, and could even save someone’s life, by offering the gift of good health. Gaza is still waiting. Please consider donating today, and give the priceless gift of good health to the people of Gaza.